Dr Oz spent the hour looking through his cabinets and giving us specific foods you can add to your grocery list. 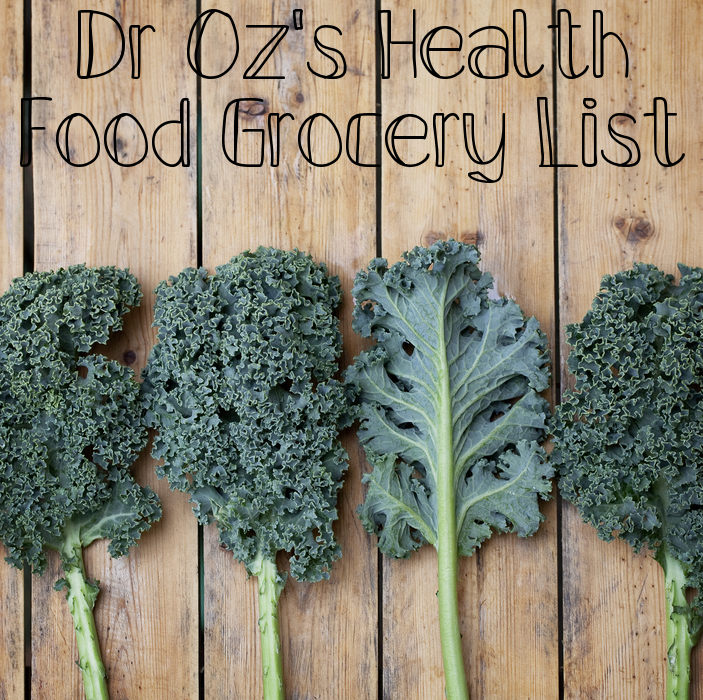 These are some healthy, Dr Oz-approved foods and brands. Of course, feel free to go with brands that you can afford and pick your favorite flavors. The Dr Oz Grocery List includes cortisol reducing foods, like Kale, and chia crisps that help fight cravings for unhealthy foods. First on the list is Lesser Evil Chia Crisps. The Chia seed is known to help you feel full and reduce cravings for junk food. Putting them in a crisp form makes them as easy to snack on as potato chips, said Dr Phillip Blanc. Chia crisps are high in fiber and don’t have trans fats. Each flavor of these crisps sound great: Crunchy Dill Pickle, Jalapeno White Cheddar, Feta & Olive, and Southern Barbeque. They’re also gluten free for those that don’t do gluten. A serving of 22 crisps is 110 calories and they come for about $3.50 a bag. Cacao Nibs are nutrient dense cocoa beans. This crunchy and bitter snack comes in at $10 a bag and can lower your blood pressure in about two weeks. The suggested serving is just 1/3 cup a day. Dr Oz suggested these for mixing in trail mix, because they’re not sweet like a candy chocolate. Dr Oz likes a cinnamon toast, and Samantha Heller has a solution. Earth Balance Cinnamon spread is an alternative to butter and can ever be combined with other flavors – not just sweet and cinnamon! It has half the saturated fats of butter. Dr Oz’s personal favorite: bee pollen. He uses it for the nutrients – protein, vitamins, fatty acids, and minerals. He adds 1/4 teaspoon to yogurt instead of fruit or eats it during the day to fight fatigue. 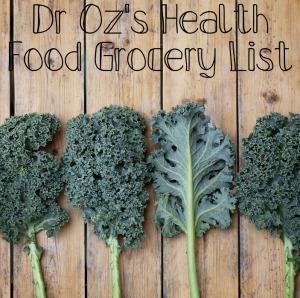 Dr Oz wants you to add some cortisol reducing foods to your grocery list. This includes kale and pomegranate juice! Kale is praised by Dr Andrew Weil, a holistic medicine man that Dr Oz calls friend. It’s full of antioxidants and the latest food trend. Kale salads are popping up everywhere! Dr Oz suggests eating 1/2 cup a day. As for the pomegranate juice, this can reducing bloating and is a great source of antioxidants. Unsweetened is the best and you should try doing 8 ounces a day.